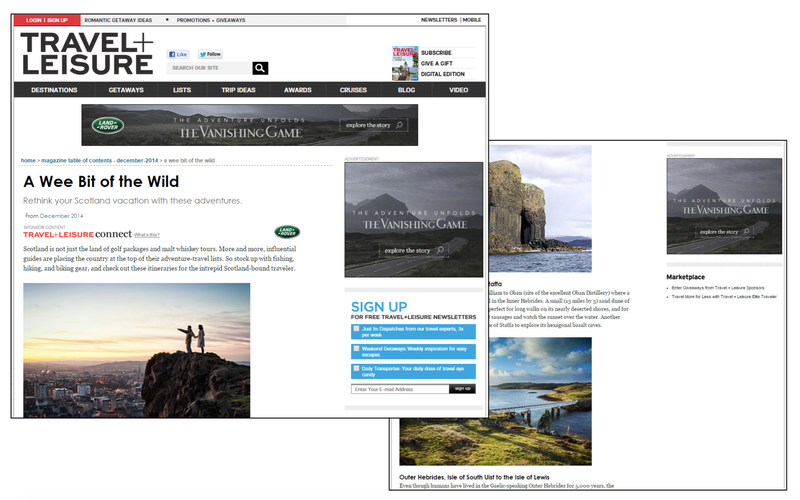 LAND ROVER: THE VANISHING GAME – The Foundry at Time Inc. 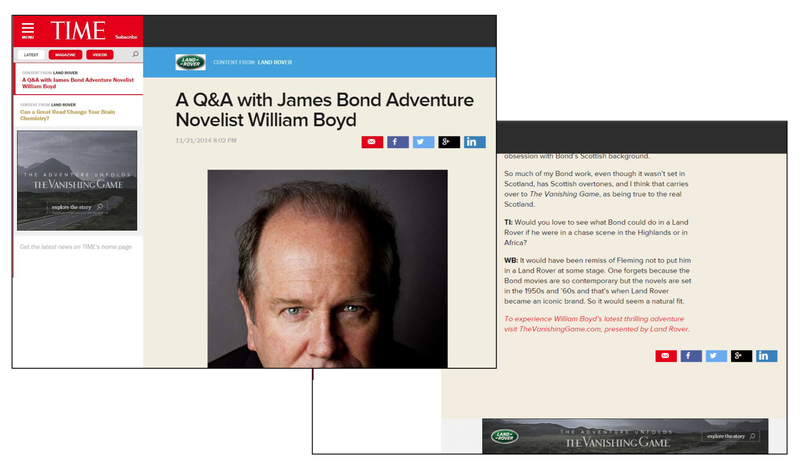 In a first-of-its-kind execution, Land Rover North America – well known for branded content – commissioned bestselling novelist William Boyd to write a thriller especially for a brand campaign. 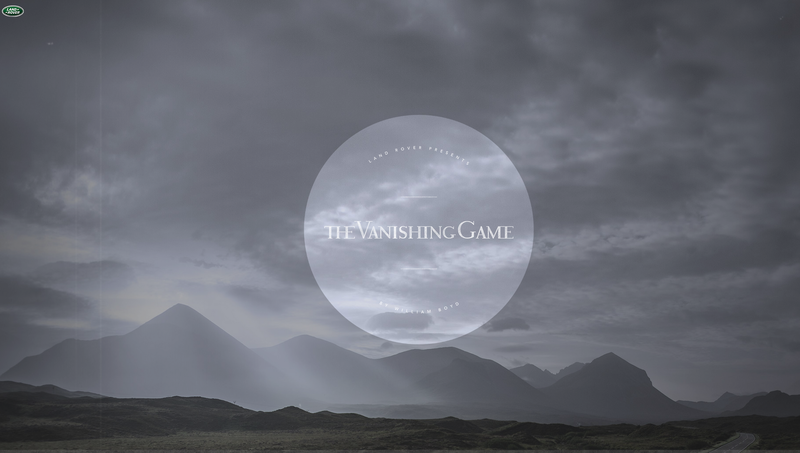 The resulting book, The Vanishing Game, sat at the center of a galaxy of rich-media content executions. 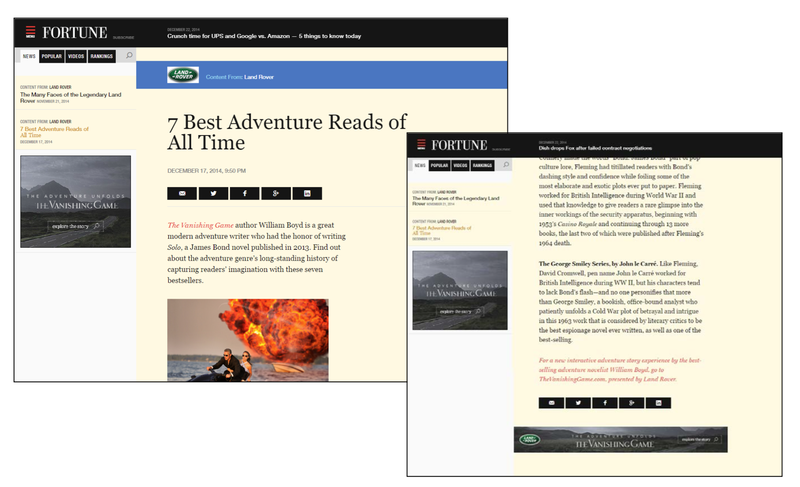 For this remarkable program, we created rich-media content units that displayed custom content aligned with each chapter of the book. 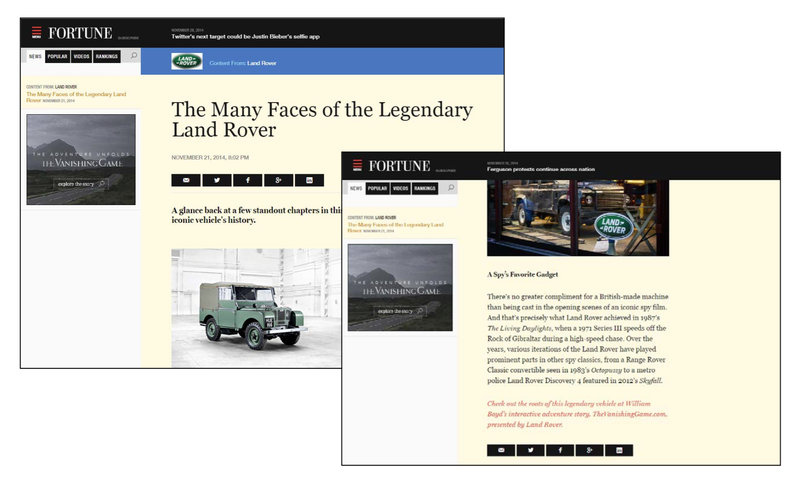 Content was delivered to targeted consumers sequentially, drawing them deeper into the story via video and interactive text. 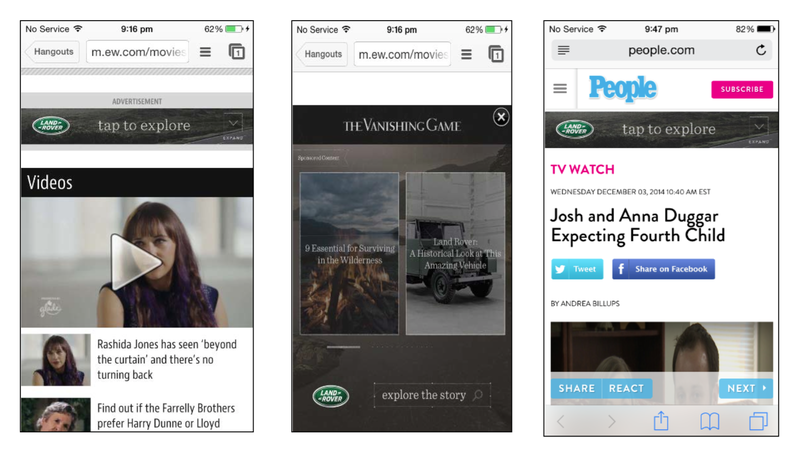 Video animation within the 300×600 unit drew in users by providing a tease of the content ahead. 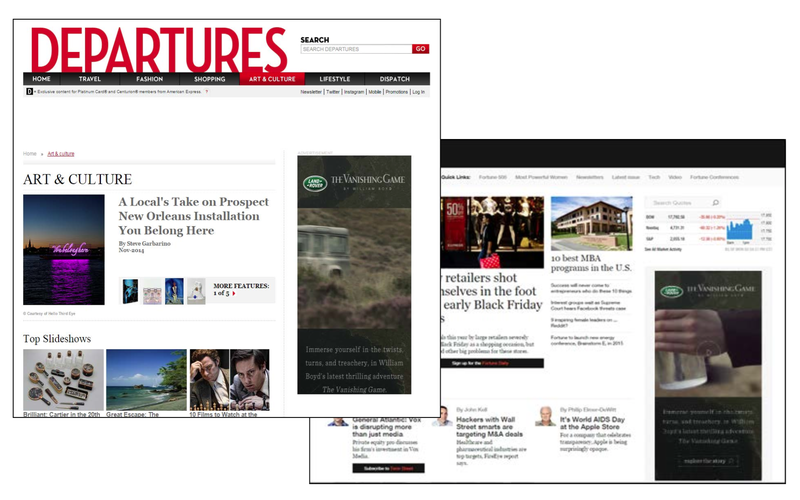 Upon clicking, the story unfolded with text and video; users could view excerpts as well as investigate via bonus content. 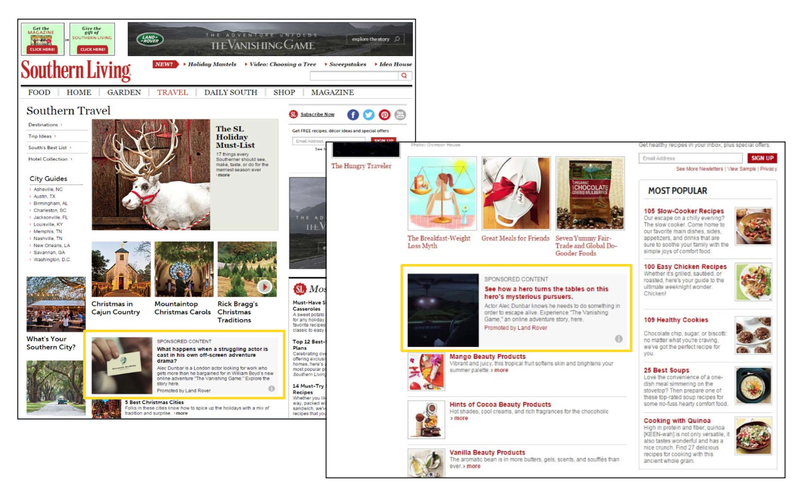 Users saw excerpts in order, via sequential targeting.